About 45,000 Boy Scouts and their leaders from around the country gathered in Virginia to celebrate Boy Scouts of America's 100th anniversary, only a small number of the people that have been touched by the program of kindness, training and hard work that British war hero Robert Baden-Powell started at the turn of the last century. The first scout rally in London in 1909 brought together 10,000 boys and some girls interested in learning skills and building character. Nearly 45,000 Boy Scouts from across the United States and from around the world are camping outdoors for 10 days of fun and adventure as the youth organization celebrates 100 years of scouting. 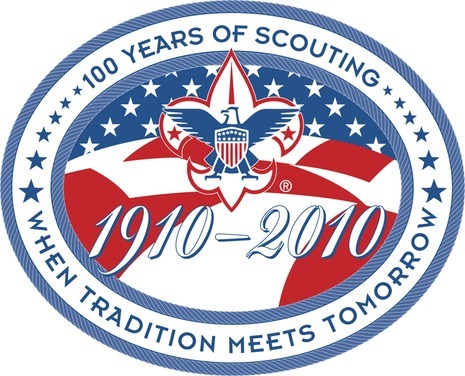 Every four years the Boy Scouts of America holds its national jamboree, a large scale celebration that recognizes the organization's objectives of developing character, physical fitness and citizenship through community and outdoor activities. The Boy Scouts National Jamboree is the crown jewel celebration for the organization that strives to develop positive qualities in boys through outdoor activities. Tens of thousands of Scouts from all 50 states and 26 other countries come to the United States every four years for 10 days of adventure and fun. The U.S. Postal Service gave the Boy Scouts of America its stamp of approval with the release of the Scouting stamp that went on sale yesterday. To commemorate the 100th anniversary of the national organization, the postal service commissioned the 44-cent stamp on which illustrator Craig Frazier depicts a backpacking Scout and a silhouette of a Scout overlooking the landscape. The stamp was unveiled in November at the Smithsonian National Postal Museum. "The postal service receives over 50,000 stamp proposals a year. Creating the Scouting stamp speaks volumes of the significance of Scouting in America," said Robert Mazzuca, chief Scout executive of the Boy Scouts of America.